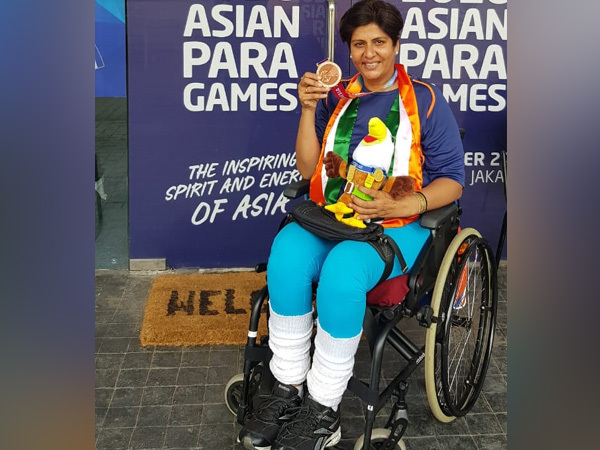 New Delhi [India], Apr 11 (ANI): Rio Paralympics silver medallist Deepa Malik has been named as the recipient of the New Zealand Prime Minister’s Sir Edmund Hillary Fellowship for 2019. "We are pleased to announce that the 2019 New Zealand Sir Edmund Hillary Fellowship has been awarded to Indian Paralympic athlete Deepa Malik,” a New Zealand High Commission release said. As a Sir Edmund Hillary Prime Minister’s Fellow for New Zealand, Deepa will travel to New Zealand and meet with Prime Minister Jacinda Ardern, undertake a series of visits to Paralympic sporting organisations, and engage with Kiwi athletes, students and the media as well as New Zealand’s significant Indian Diaspora community.